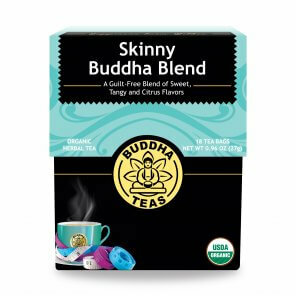 Our Skinny Buddha Blend is a thoughtfully crafted brew intended to help you feel good in your body. Those who are working toward certain health goals will enjoy the refreshing flavor of this tea. 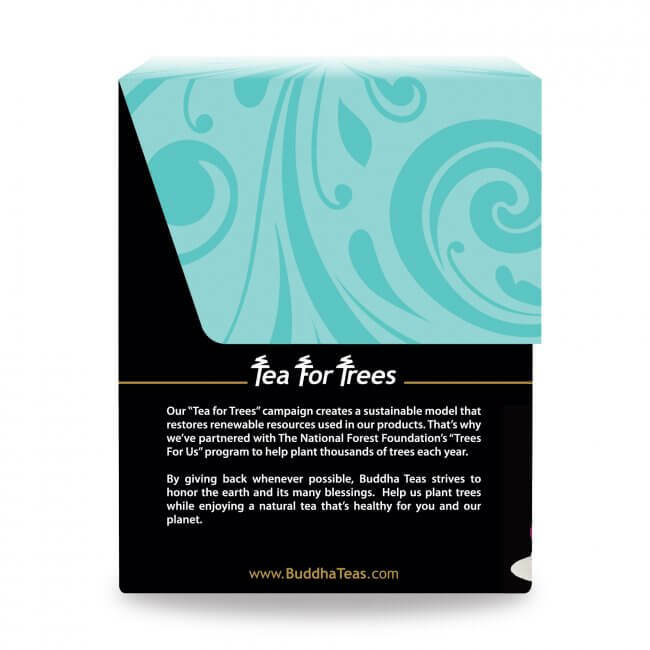 Energize, invigorate, eliminate … That, friends, is what Buddha Teas Skinny Buddha Blend brings to your table. Our carefully researched and compiled organic herbs combine with organic green tea to create an unbeatable blend for those interested in finding new and delicious ways to pursue their health goals. 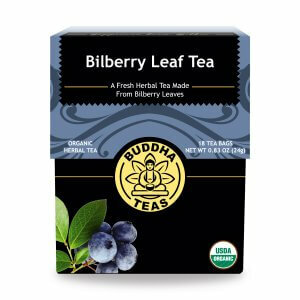 Adding Skinny Buddha Blend Tea to your daily routine promises to bring delight in a cup, while encouraging you to feel good in your body. What Does Skinny Buddha Blend Tea Taste Like? Tart, tangy, summery … a little bit of tickle on your tongue. First: because green tea is a main element, do not steep at a full boil; green tea likes to soak in water 170°-180° F. As you pour the water gently over your teabag, take notice of the sublime color: like the sky at dusk, as pink, red, yellow, and orange spread across the horizon and mix into a subtle, delightful hue that kickstarts this exquisite tea-drinking experience. Not to be missed. Adding a touch of your favorite sweetener may be a pleasing way to balance out the tartness of this light and delightful blend. 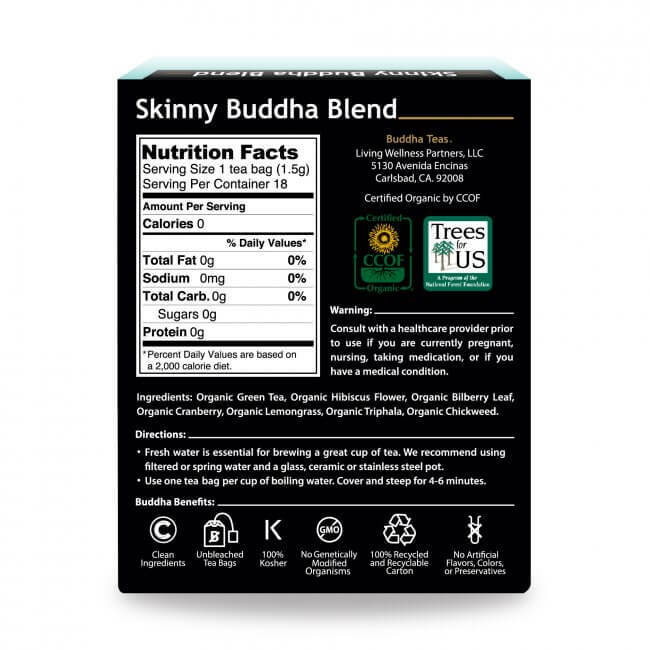 All of the thoughtfully selected ingredients in our Skinny Buddha Blend are aimed at assisting the body with elimination of one kind or another. Eliminating fatigue, eliminating toxins, eliminating excess water, or eliminating the gut; this is what this tea is all about. This herbal tea blend offers an invigorating fusion of flavors you can enjoy free of guilt. 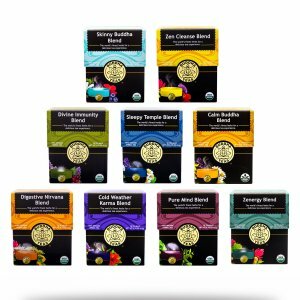 Our Skinny Buddha Blend is crafted using the best organic herbs and tea, creating a tea that offers the pinnacle of what nature can provide. Green tea lends its smooth, luxurious quality as the foundation for this blend, while cranberry, hibiscus and lemongrass build upon it with a fruity tang and citrus zest. The result is a refreshing blend of mild sweetness and stimulating tanginess, finished off with just a hint of sour taste to tantalize the tongue. This great taste means you can enjoy this tea without the need for sugar or sweeteners. Skinny Buddha Blend even makes for a delectable iced tea as well, perfect for taking to work or to your morning workout, or even for making a pitcher to share with the whole family. However you enjoy it, Skinny Buddha Blend makes for a perfect addition to any tea collection. We understand the importance of clean, healthy living, which is why our Skinny Buddha Blend is made using only 100% organic green tea and fresh herbs. We never use additives, fillers, preservatives, or added flavoring in any of our teas, and with our bleach-free tea bags, you can feel safe from the exposure to harmful chemicals like bleach and dioxin. 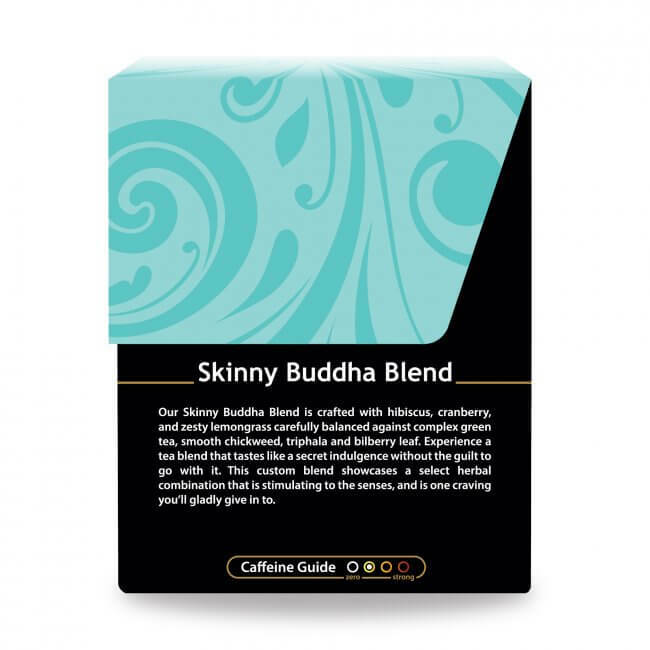 Enjoy Skinny Buddha knowing that every sip offers something truly natural and wholesome. I love this tea. ... I have a cup every night. Not only does it taste good, it helps me use the bathroom. With this tea I have been able to quit taking my diaretic for high blood pressure. Excellent product. Recommend. Great tea. NO jitters. I drink it as is. I really enjoy the little notes on my tea bag. I was not sure if I would like this tea or not, so I only ordered one box. I was pleasantly surprised and will order more on my next order. Great tasting tea, will definitely purchase again! Amazing tea! I brew this as ice tea, and drink all week long! Love the subtle fruity sweetness this delightfully tart tea has! It's great for when I'm craving something sweet during the day. I have only tried it hot, but I think it would be delightful iced as well! Good tasting tea and I still like lemon & honey to enhance the flavor and sweetness. Will buy again. I also like blending it with the oolong for added weight control benefits.